Enabling integration with Google Maps provides autocomplete functionality when a user enters an address (which is particularly useful if you are using the Commerce application) and can display maps when looking at IP addresses and elsewhere. You need to enable three different API services. Make sure you follow all of the following instructions carefully. Go to the Google Developers Console and sign in if you are not signed in already. In the top-right corner is the project selector. 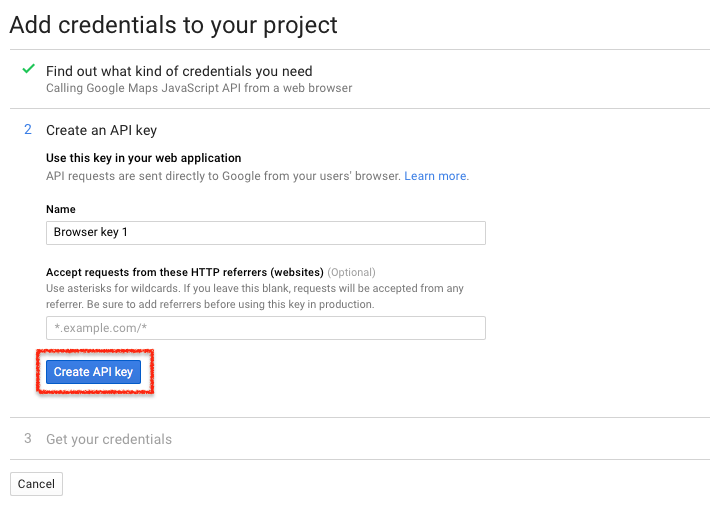 You may already have a project if you have previously integrated Google login on your community. If you do not have project, click the dropdown and create one. You will be presented with an API key. On your community, to AdminCP > System > Community Enhancements > Google Maps and fill this into the "Google Maps API Key" field.